With the help of the recorded IQ file that can be downloaded at the following location, I was able to decode and send a couple of kiss packets to the GRIFEX telemetry server. Below you can see the data decoded by the MXL Ground Station Client. 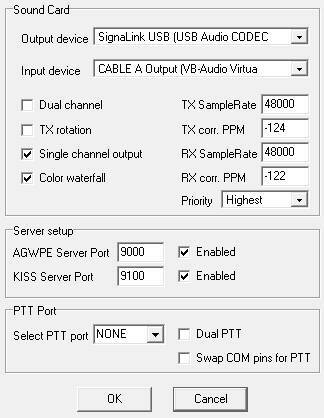 I used the UZ7HO G3RUH 1.7 beta sound modem software and enabled the Kiss server on port 9100. 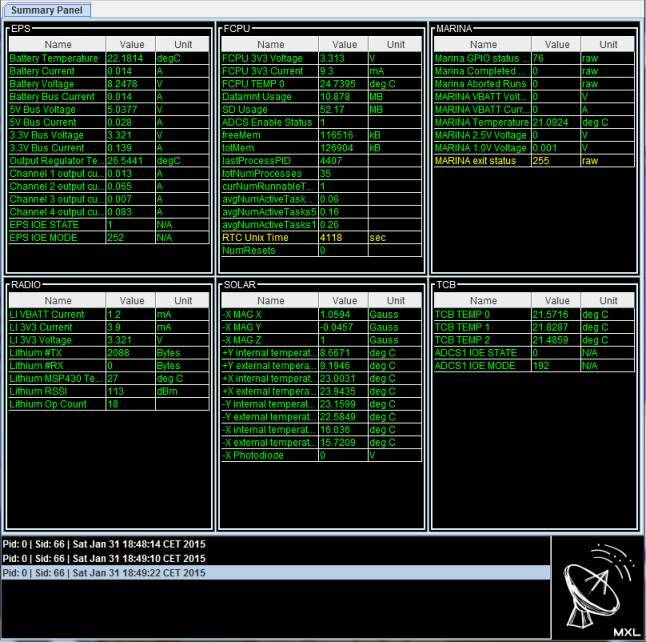 After that I configure the config.props file that is part of the MXL Ground Station Client software to use the kiss server port. Below the config.props I used. Don’t use the tcp to serial option that comes with the GS client software. There is a direct connection between the GS client and UZ7HO via in my example port 9100. Good luck decoding GRIFEX with this setup. This entry was posted in Grifex and tagged GRIFEX, Telemetry, UZ7HO by PE0SAT. Bookmark the permalink.